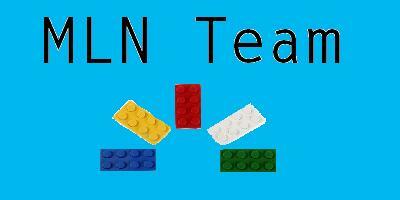 This board is here for support and help for those interested in MLN (My Lego Network). So, it is important to keep this board clean, G rated and for everyone's comfort and these following rules are here to help it. MLNTeam TeamAll content such as the name MLNTeam and MLN Team is for the exclusive use of this site only. The name, copyrights and trademarks cannot be used without express permission. The authors reserve the copyright of their content. The opinions and comments made in the posts written by our members are the rights to and the responsibility of the individual member. MLN Team assumes no responsibility for the content expressed or implied by its membership.The material on this Site is protected by copyright, trademark, and other applicable laws. You may not modify, copy, reproduce, republish, upload, post, transmit, publicly display, prepare derivative works based on, or distribute in any way any material from the Site, including but not limited to text, audio, video, code and software. During your visit, however, you may download material displayed on the Site for personal use use only (provided that you also retain all copyright and other proprietary notices contained on the materials) and have received expressed permission to display publicly. We neither warrant nor represent that your use of materials displayed on the Site will not infringe rights of third parties not owned by us or affiliated with this Site.